Before buying a flute, there are few things to consider. It’s pretty easy to purchase a flute if you already know how to play it, and you can actually go to a physical store and check the instrument with your own eyes and fingers. I wonder, though, how many people like me are there? I mean, before I made my first purchase, I was a guy who never played a flute before and was forced to purchase one from a country on the other side of the planet. I guess that allows me to be an expert on “buying my first flute” subject :). Anyway, if you never played a Native American style flute and you wish to purchase it on-line, here are the things you need to consider. The first thing is to actually realize that playing the Native American flute is very, very simple! You just cover the blow hole with your lips and blow the air. That is all! There are many different types of flutes, and most of them are very difficult to play. 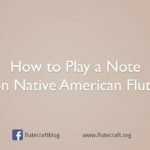 But Native American flute is not one of these difficult flutes – on the contrary, it’s probably the simplest flute to play. So that is the first thing to consider – you can safely purchase a flute on-line from a respected maker, because it’s almost guaranteed that you will be able to play it. I’ve bought my first flute on Etsy, from Jack Ferguson. As soon as it arrived and its temperature settled, I was able to play very simple melodies. 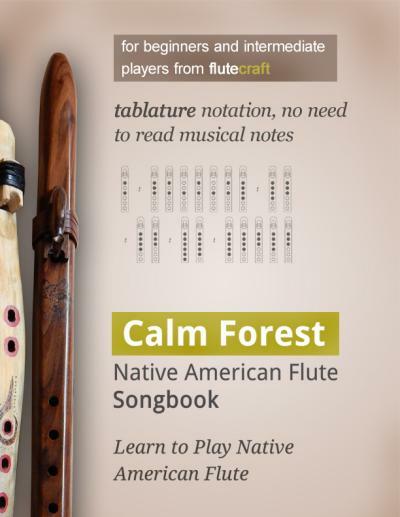 Because I never played a NAF before, it took me few weeks to master the basics, but the beauty of Native American flute is that you can make a clear and steady sounds and basic melodies right away – there is no need to learn that, the flute makes the clear sound for you. Once that is said, we can move on. Another thing is to consider the sound of the flute. Here, two things are very important – the type of wood and it’s fundamental note. The fundamental note of the flute is the note that the flute plays once all the finger holes are covered. Most popular keys are A, G and F# – you will see these letters next to the flute’s name, or somewhere in the flute’s description. Whenever you make a purchase, you should see if there’s a sample of the sound in the flute’s description. Many makers provide their customers with such sound sample. If you can’t find the sound sample, ask the flute’s maker for one. 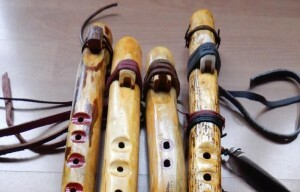 If they can’t provide you with it for any reason, see what key the flute’s in, and go on-line – look through Google and/or YouTube for Native American style flutes in the same key. The sound of other flutes in the same key will be almost identical. Then, once you choose the fundamental note, listen to the flute’s scale – the other sounds the flute makes. Only then you can be sure if you like the particular flute or not. Always choose the key (the fundamental note) that you enjoy the most – never settle for anything less than what you truly desire, because if you won’t like the sound of the flute, you won’t enjoy playing it. When I was shopping for High Spirits flute, I considered their G4 aromatic cedar and F# spanish cedar – but neither had the quality of sound I desired. The sound of these flutes suits some people, but I wasn’t among them. In the end, I’ve purchased High Spirit’s Golden Eagle made of Aromatic Cedar in the key of F# – this flute’s sound is perfect for my taste. Also, remember that wood affects the sound. Soft wood, like pine, spruce or aromatic cedar, has a warm, soft sound. 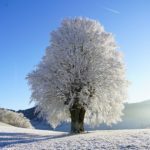 Hard wood, such as walnut, has a harsh, cold sound. Aromatic cedar F# and walnut F# may not sound alike. Different makes make the flutes in different ways – an F# from one maker may not sound like the F# from another maker. Consider this as well. If you seek an Aromatic Cedar in the key of F#, but you don’t like the sound of the flute you’ve found on website A, look for the similar flute made of Aromatic Cedar in the key of F# on website B etc. Notice you hand and your fingers – if you have small hands, and the space between your fingers set apart is not that great, you may have troubles with large flutes. Almost everyone is capable of playing any flute up to G4 – one of the standard Native American style flutes. Most people are capable of playing an F#4, as well. Basically, take a ruler and set your fingers apart – see if the space between your ring finger, middle finger and index finger is at least an inch apart – if it’s larger, that’s good, if it’s smaller, that’s not so good. Most flutemakers make sure that the finger holes are set an inch apart from each other. If you can set your fingers an inch apart from one another, you should be able to play up to F#4. That said, playing an E4, D4 and most bass flutes may be problematic if you have small fingers. If you never played a Native American flute before, don’t buy anything larger than F#. Once the flute arrives, you can see if you can play it easily. No one wants to lose money – you want to be sure that if you pay large sum for a flute, the flute will be worth it. Thus, you want to look for flute makers with a positive reputation. Look at the reviews on Etsy, Ebay or Amazon, or any other on-line store you’re buying the flute on. 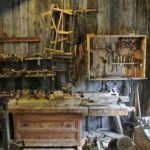 Unfortunately, these guidelines are often unfair for the new makers who actually create well-tuned and well-made flutes. If you’ve stumbled upon such new maker, you can try these suggestions, too. They work for established makers, too. Look at the photos – a good make won’t be afraid to show his or hers flute. If the flute has flaws (they happen when you work with wood, especially the soft one), the maker should point them out, as well. Search for sound sample – a serious flute maker and seller will always provide you with a sound sample. 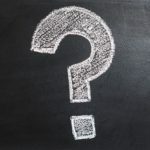 See the payment methods – usually, the way payments work is a good indicator of the seller’s serious approach. If the seller offers PayPal (with easy refund policies) or credit card payments, he must have went through some type of authentication. This is always a good sign. Read the return and refund policies – a serious seller will accept returns and offer refunds if you’re not happy with your purchase. Look for such policies – if they are clear, it’s good. 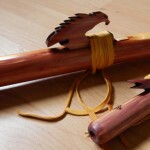 One more thing – a good Native American style flute does not have to be made by an actual Native American. Many great makers of this type of flutes have nothing in common with Native heritage. Some of them are not even Americans :). It’s not a bad idea to purchase a smaller and cheaper flute in a higher key if you’re a total beginner. 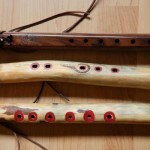 This way you can spend little money and actually learn how to play the Native American style flute before you go and shop for a bigger flute of better quality. In addition, sometimes you may be surprised by the high quality of the cheaper flutes. Some flutes have five finger holes, while other flutes have six finger holes. The thing is that most flutes are tuned to minor pentatonic scale, which requires only five holes. The so called “sixth hole”, which is the fourth hole from the end of the flute, is not really necessary. It serves often as additional note for sound decorations. And it serves a purpose for major pentatonic scale, which some flutes can actually play. I suggest to buy a six holes flute – mainly because if you don’t understand the role of the sixth hole, you can always keep it covered all the time, and when you finally learn how to use it, you’ll be able to play melodies that include this particular note hole. That completes my list of suggestions. I hope it will make it easier for you to purchase your first flute on-line. 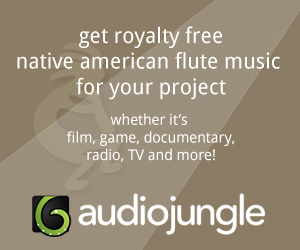 Do you have any additional suggestions for people buying their first Native American style flute? Share them in the comments below, please.